It's getting toward that crazy time of year again where all of our weekends seem to be filled by some kind of commitments or activities close to home, so finding time to get out into the outdoors requires a little more creativity than usual. Luckily, daylight hours are also long so we took the opportunity to climb Hartz Peak late one Saturday afternoon. 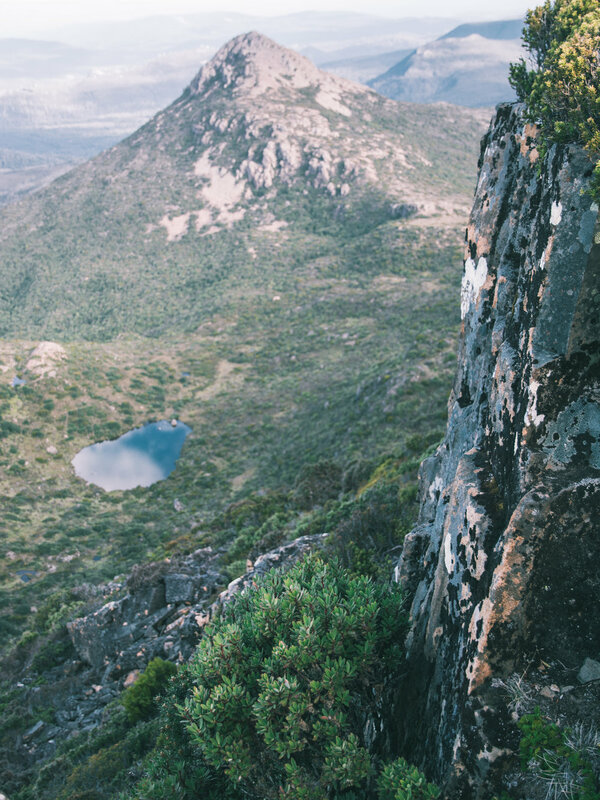 Hartz Mountains National Park is an accessible yet quiet place to experience the Tasmanian wilderness. 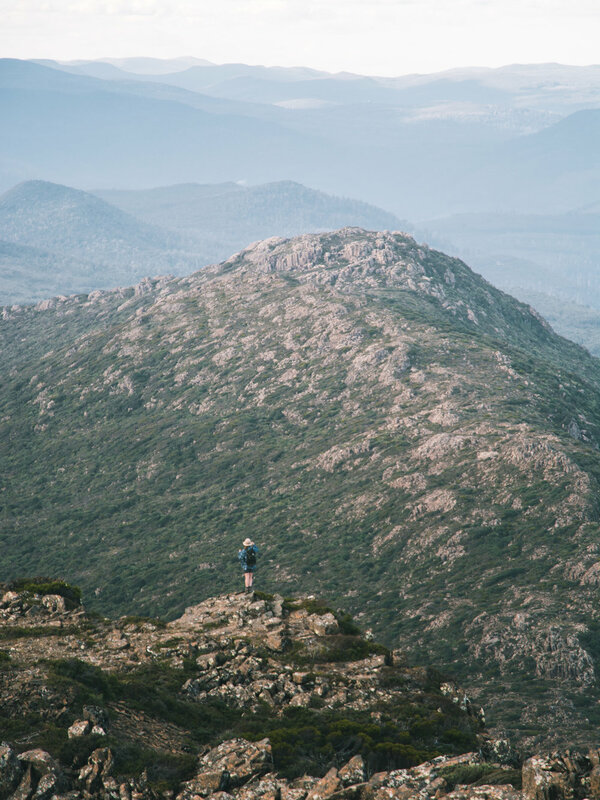 We arrived around 90 minutes after leaving Hobart, and set out on the four hour return walk to the summit. It was a warm, clear afternoon and the last traces of winter snow had given way to the first wildflowers of the season. The views were spectacular as we climbed toward the summit - the trail passes two small lakes before reaching Hartz Pass, offering the first glimpse into the wild southwest wilderness. We were afforded remarkable views upon reaching the top. 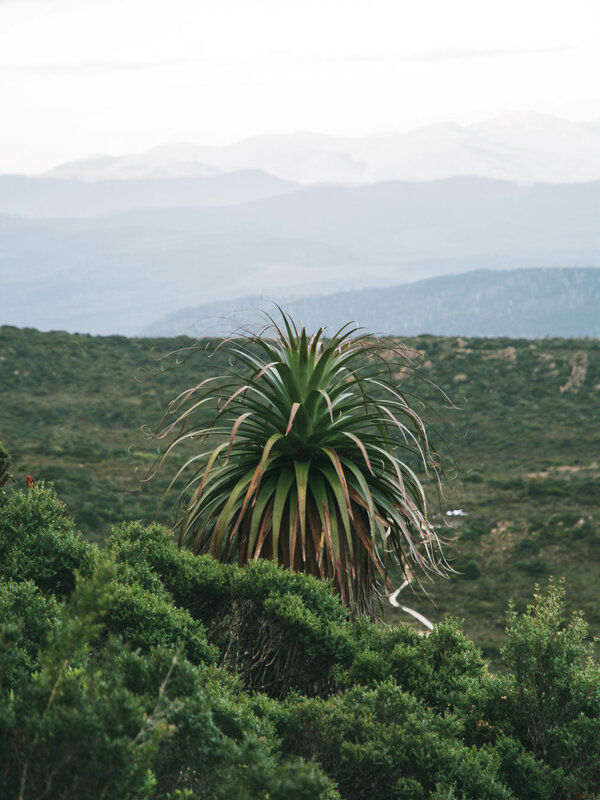 Tasmanian weather can be unpredictable at any time of year and Hartz Peak is no different - this was the fourth time we had been here, and have been treated to wind, rain and heavy fog on past visits. To get perfect weather was a real bonus. On a clear day, the summit offers views deep into the Southwest wilderness with Federation Peak and Precipitous Bluff visible in the distance. The light and colours over the landscape this late in the afternoon were incredibly beautiful. With the park to ourselves it was a great opportunity to really savour the moment. We could have stayed at the summit for hours, but could see a thunderstorm had formed in the distance and was slowly heading our way. We slowly made our way down the mountain, stopping at Lake Esperance along the way - the forest was almost perfectly reflected in the lake. It was a perfect moment to cap off a wonderful evening escape. 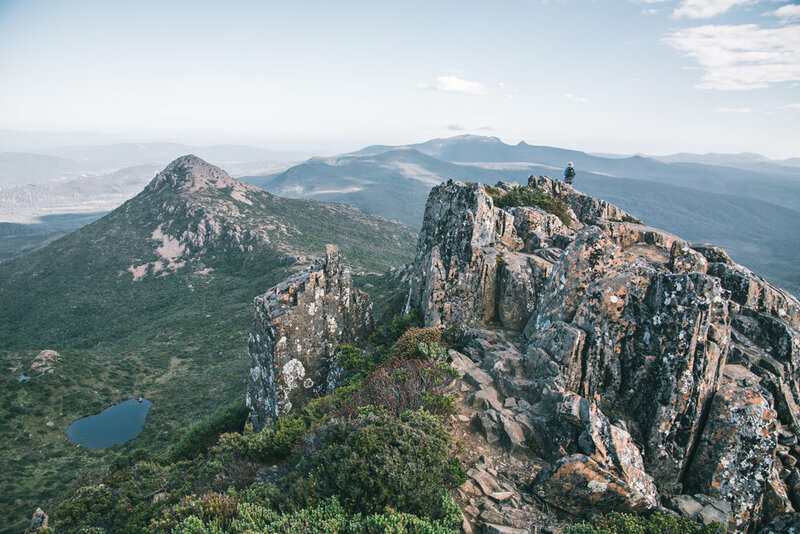 Tip: If the weather is fine in Hobart, it isn't always fine at Hartz Peak. Come prepared for any weather just in case!